Listen in on the backyard reunion of conjunto musicians Las Hermanitas Garza. "Las Hermanitas Garza" produced by Texas Folklife and the Austin Music Map, May 2013. Straight from the Austin Music Map, meet the women of the Garza family, and tap along as they look back at their personal history in a genre of music traditionally played mostly by men. This story was produced by Texas Folklife Stories Summer Institute's youth reporters: Arlette Flores, Jennifer Gonzales, Roberto Hernandez, and Steven Ugalde, in conjunction with the Austin Music Map, Localore, and KUT 90.5. "Sans Houses - Music" produced by Tasha A F Lemley for the podcast Neighbors, July 2015. Last year, Radio Producer Jakob Lewis launched the podcast, Neighbors with a goal to bring more connection and understanding among residents around his home in Nashville, Tennessee and bring the stories of Nashville folks to the world. Each episode of the podcast introduces you to a new person, and a defining story of their life. In this episode, which is part of the show's "Sans Houses" series that focuses on homeless individuals living in Nashville, Producer Tasha A F Lemley introduces us to the talent you can hear any day on the streets of Music City. You can subscribe to Neighbors, and discover more shows from the podcast collective The Heard at theheardradio.com. "The Trouble with Harry (Nilsson)" produced by Jackson Braider, June 2006. 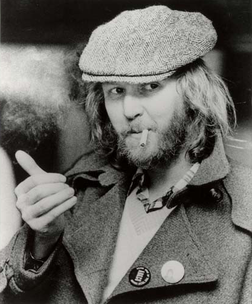 Harry Nilsson, a musician famous for being unknown. The Rock and Roll Hall of Fame released their list of 2015 inductees last week. And this year, the late songwriter Harry Nilsson was passed up -- yet again -- from receiving the prestigious designation. Even after a group of musicians and fans mounted a musical campaign this summer to bring awareness to the fact that the Hall of Fame is seriously lacking some Nilsson. In 2006, Independent Radio Producer and Music Journalist Jackson Braider stumbled upon a long forgotten cassette tape that contained an interview he recorded with Nilsson in the fall of 1979, from which he created this radio story. You can hear more from Jackson Braider on PRX.org. This week's episode featured music from: Black Moth Super Rainbow, The John Brothers Piano Company, Narciso Martinez, Harry Nilsson, and Jon Brion. If you have a suggestion for a podcast or an audio project we should feature, please drop us a line at thespot@kalw.org. Tune in next week for another episode of The Spot, only on KALW San Francisco.